We all heard about the legendary Wanton Mee from Tanglin Halt Market that only opens in the evening and decided to give a try. The first visit to Tanglin Halt Market turned out to be a disappointment as no stalls were opened during then - I guess it fell on the Market Washing date on the calendar. The stall is easily located as it is located at one corner, anyway, there are not many stalls there and it should be very obvious of where they are. Wanton Noodles was springy enough, coated with dark sauce and come with vegetables as well as slices of Char Siew Meat. 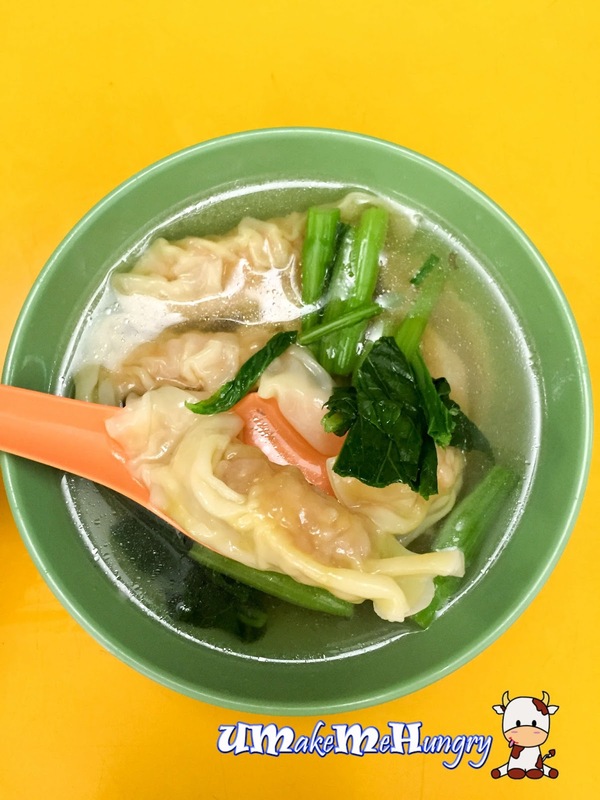 I had quite some expectation before having Guang Zhou Mian Shi's Wanton Mee but later on was kind of disappointed as it was something run of the mill, no robust taste or giving any wow factor. Wantons on the other hand were separated and placed in a small bowl containing soup. Soup was not bad though and I felt that the taste of the wanton can be improved if the marinate were done better. At least the Shrimp Dumplings were better than the average ones in the market. 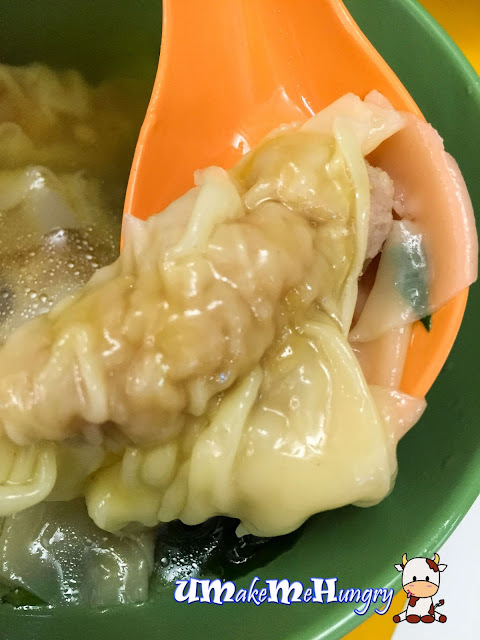 In a bowl of soup with blanched vegetables, the dumplings fillings were more generous. The presence of chestnuts crunch and marinate were hits more than misses. 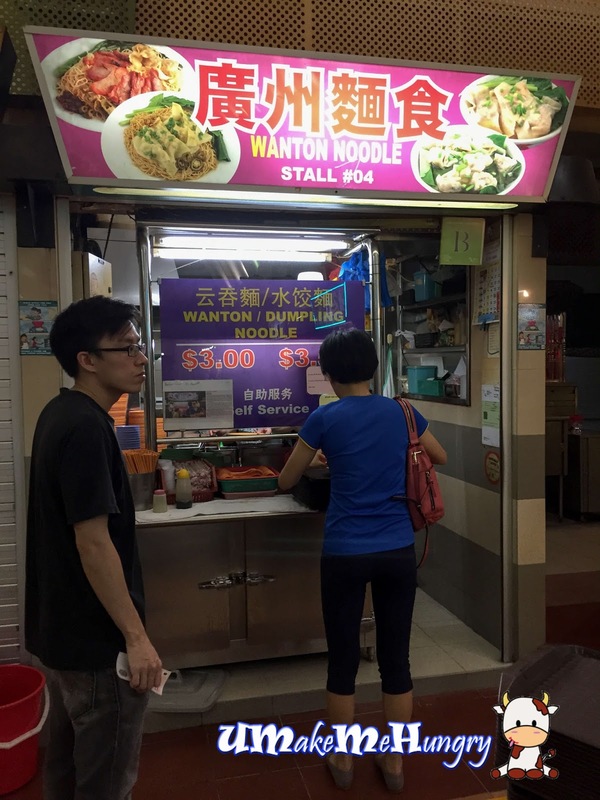 Overall, I felt that there was nothing to rave about on their Wanton Noodles and having said so, if you are going to Tanglin Half Market at night, please bear in mind that there aren't much stall open at that hours.